Mmmm, rejection... don't we all love a bit of that? If you're anything like me (and most people), rejection not only is responsible for some pretty painful memories; it can also stop you from trying new things. Imagine the situation: you want to start your own business, but you worry about whether people will actually like you. You browse the jobs pages, but you don't actually apply, because you don't think you'll get the job anyway. You watch that cute guy/girl from the corner of your eye, but you don't dare to make a move, in case they walk away in disgust. The reason for all of the above, whether you realise it or not, is simple: you are terrified of rejection. The thought of someone saying "no", of turning you down or even giving you a piece of negative feedback, freezes you up. You can't be hurt if you don't try, right? Better to stay in your safe little cocoon, where nobody will reject you, and nothing will ever change. It isn't only death and taxes that are inevitable. 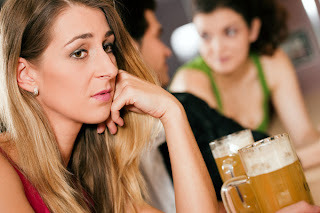 As long as you interact with other humans, rejection is unavoidable. If you want to change your life, you're going to have to deal with a bit of rejection along the way... so, instead of hiding from it, it's time to learn how to handle it! Why are we so afraid of rejection? Imagine that you've poured your heart and soul into a cover letter for your dream job. You made sure that your CV was perfect, you checked over the cover letter a hundred times, and you even made a follow up call... but they toss your application aside, as if it's nothing. It's understandable that you feel awful. To you, it's your hopes and dreams that they're tossing aside so casually. They are not only rejecting a piece of paper; they are rejecting the very core of your being. You feel as if the world doesn't want you any more. When you consider something scary like applying for a job or a loan, setting up a business, approaching a potential client, or trying it on with a nice lady/gentleman, you might find yourself thinking about everything that could possibly go wrong. That voice in your head tells you "They won't like you, they'll just say no!" and you replay every other time you've ever been rejected. Remembering how painful it was, you decide that it's safer just not to bother. The first step is to look at the thoughts running through your head, and to understand them. We learn through trial and error - if the fence gave you a nasty electric shock the first time, then you're going to feel nervous about touching it again. That nasty voice is just trying to protect you from repeating similar mistakes. Ask yourself "What, exactly, am I afraid of?" It might be the feeling of being rejected by the world that you experienced once before, or it might be the public shame of being turned down. If you make rejection a less painful experience now, then you won't be so afraid of experiencing it again in the future. The reason that rejection is so painful is that our minds start to jump to crazy conclusions. Have you ever been rejected for a job and started thinking things like "I'm NEVER going to get a job - nobody wants to hire me!" or "I'm not good enough to get a job - I don't have the right charisma, skills, or experience". Worse still - being rejected on the job market makes you think about how you'll be rejected in other parts of your life, too, so it isn't only your career confidence that suffers. In Psychology, a person's explanatory style has a massive effect on their confidence, success and levels of happiness. Your explanatory style is the way that you explain events to yourself, and is divided into three aspects. Your Personal attributions explain the cause of an event - if you use external attributions, you'll write off the job rejection as being down to the company having too many quality applicants, human resources being very busy, or a better applicant applying; while internal attributions tells you that it's all because of you - you weren't good enough, you were too pushy, you wore the wrong shirt. I've often misplaced my glasses and found myself thinking "I ALWAYS lose my glasses!" This is along the same lines as "I never get good jobs" or "I always mess up a first date" - you think of things are stable, rather than looking at each situation separately (unstable) and thinking "I lost my glasses today, but now I know where they are" (your Permanent explanatory style). Finally, there's that lovely one that leads you to think that a rejected job application means that nobody will ever love you. If you've ever made a mistake and thought "I can't do anything right", then your global attribution style will probably turn one rejection into "the world doesn't want me", rather than recognising that every specific situation is different (and that is your Pervasive style). It's a tiny bit different, but you can find out about your attribution style here. The attributions most linked with depression are internal, global and stable ("Bad things like this always happen to me, I'm so unlucky"). Of course, switching to the opposite side isn't a perfect solution - sometimes things DO go wrong because of you, and constantly looking at external events as the cause will stop you from taking control of your life. What you can do is regonise these thoughts when they come up, and attack them with logic. So, if you've found yourself thinking that nobody will ever want to hire you because of a few job rejections, ask yourself how likely that really is. Did you know that J. K. Rowling had her Harry Potter books rejected by twelve publishers before she had them accepted? Have a look at this article - it's full of examples of successful people who were rejected time and time again before their successes. Imagine how different the world would be if they had given up at the first hurdle - we'd have no Harry Potter, Disney World or KFC! It's important to think about why you were rejected. We often take things personally - you approach a potential client for your new business, and they turn you down. You run through all the reasons in your head - they must have thought you were too slimey, you didn't time the pitch properly, they were put off by your clothes. Sometimes, though, the rejection is not all about you (sorry!). Think about all the times you have rejected people. Walking down the street, do you stop and talk to every charity fund-raiser and take every leaflet? On a night out, have you turned down a potential kiss because you were not in the mood? Have you ever cancelled on your friends last minute, or forgotten to reply to a text? You probably reject others all the time without even thinking about it, but assume that they'll understand - because you know it wasn't personal. You were busy, you were distracted, you had a lot going on. Well, maybe that guy you flirted with or that company you applied for were busy or distracted, too. Your potential client might have a hundred reasons for saying no - none of which reflect back to you. But - let's say that you find out it WAS you. You were too enthusiastic, and you scared that guy away with your needy behaviour. Your job interview tanked because you were so nervous and shy. That potential client just didn't feel that you really believing in what you were selling. But you can't always make these assumptions - sometimes you have to ASK! That's right. Email that boss who didn't hire you or that client who didn't buy, and instead of asking "What did I do wrong?" kindly ask what the reason was and say that you'd really appreciate the feedback. You can do this in your personal life, too - as long as you approach people openly and maturely (i.e. they don't think you'll flip out the second they give you negative feedback). It can be hard to deal with criticism, but instead of falling victim to it and thinking "I'm too sensitive? I guess I won't bother trying to date anyone else, then" - think about what you can do about it. You might decide that those friends or that job just aren't right for you, anyway; or you might decide that you really want to work on that aspect of yourself. If Oprah Winfrey had given up after being fired from her job on a news show and told she was "unfit for TV", she wouldn't have become one of the world's richest and most successful women. Always see rejection as an opportunity to learn and grow, and know that the "right" thing will happen for you if you keep trying. Finally, I thought this video was very interesting (for those of you in sales, especially good) - the idea that we have the completely wrong attitude to hearing "No". The speaker basically claims that we should set quotas for rejection, because it makes "Yes" a far more likely outcome - http://youtu.be/SMiJeU7nU7k !